It’s almost showtime, and we are excited to show off how FocalPoint software can help you control your rental operations, and manage your rental store more efficiently. At the upcoming ARA Rental Show, you can meet our team, get a live demonstration of our full rental solution, including solutions for desktop at your front counter or back office, FocalPoint mobile for accessing information on the go, and FocalPoint remote which makes the return process faster and easier for your customers. 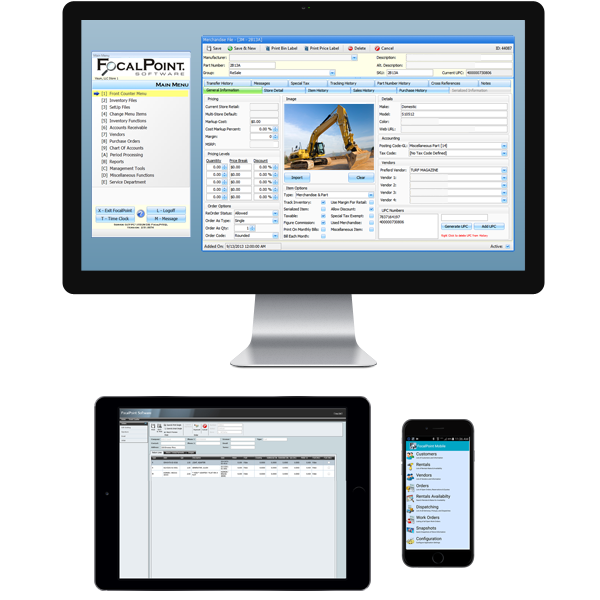 FocalPoint software is designed for homeowner, contractor and special event rentals. We continuously improve our software based on customer feedback, industry innovations and we strive for ease of use and affordability. Just as important, we are committed to providing the “before and after the sale” support and attention you deserve. Please visit us at booth #3057 at the upcoming ARA Rental Show in Orlando, February 27-March 1, to meet our team and see how FocalPoint Software can help you operate your rental store more efficiently.